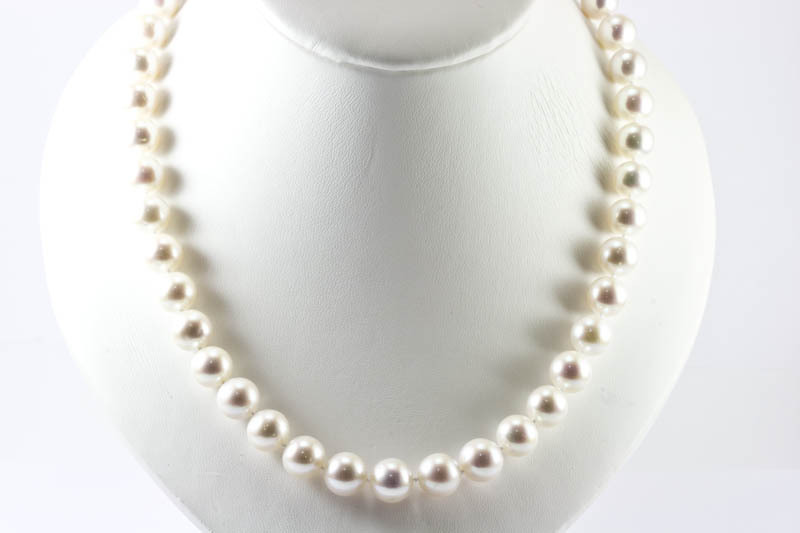 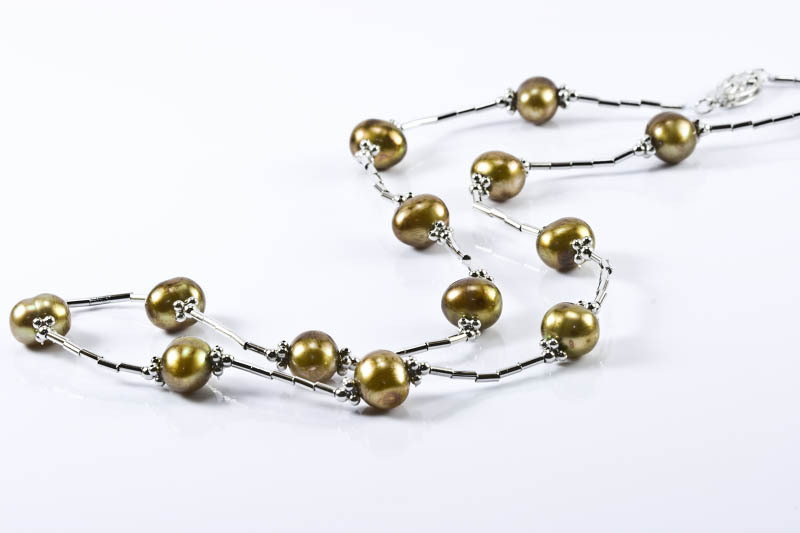 16.5" 8mm brown gold cultured freshwater pearls, 14k white gold beads,tubes and clasp. 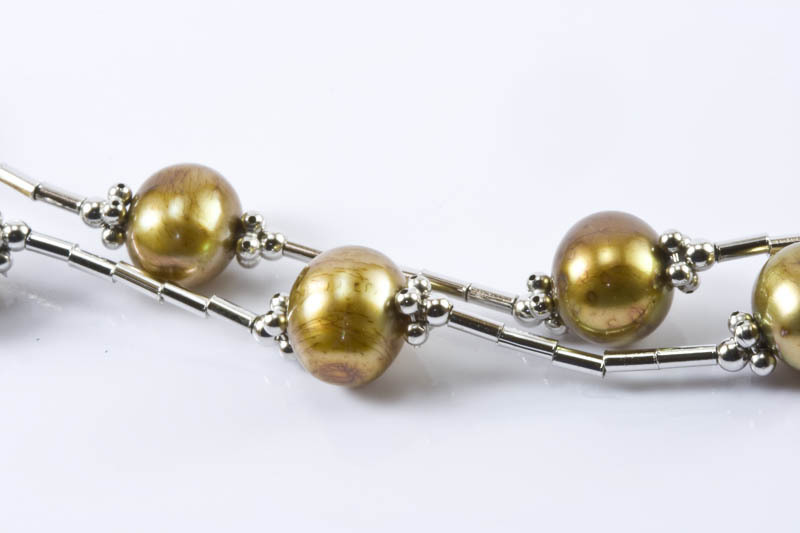 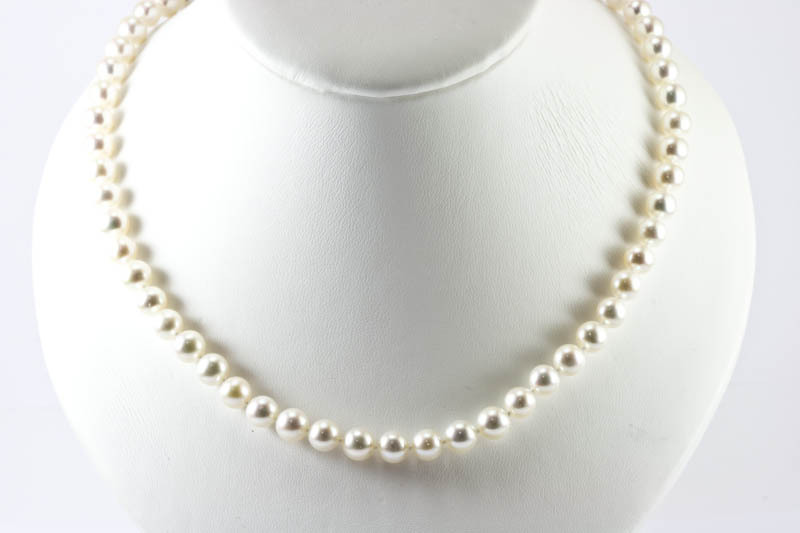 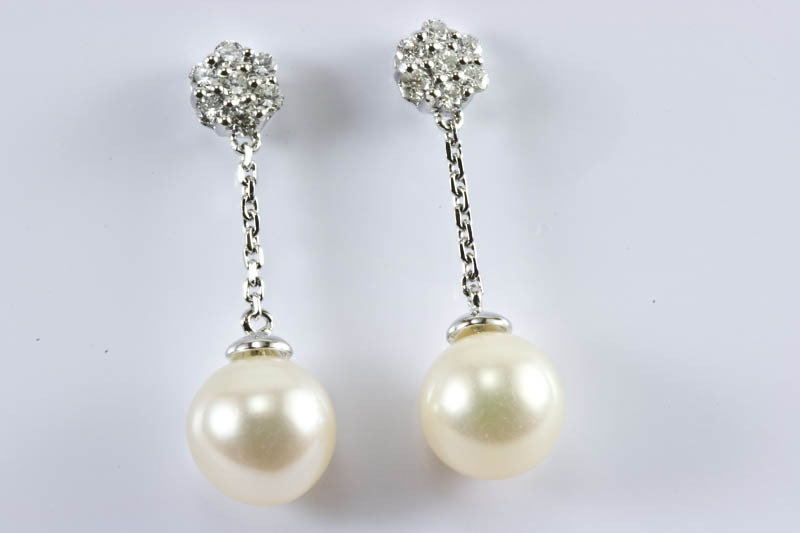 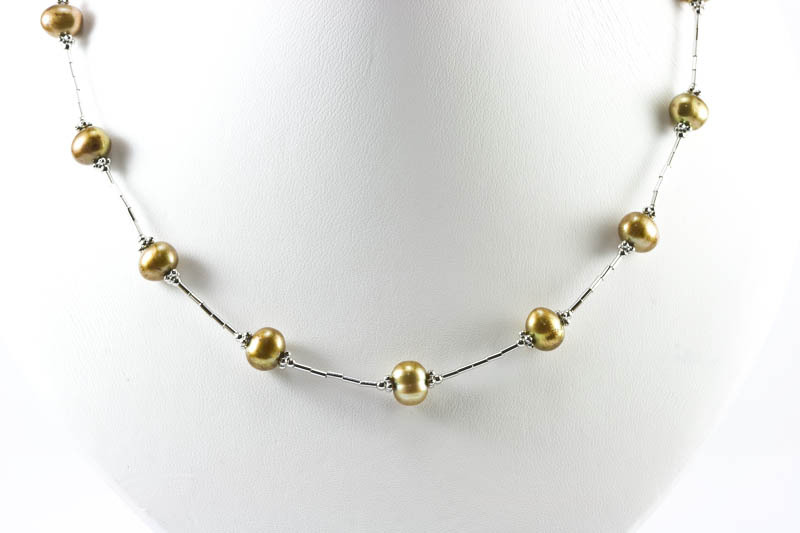 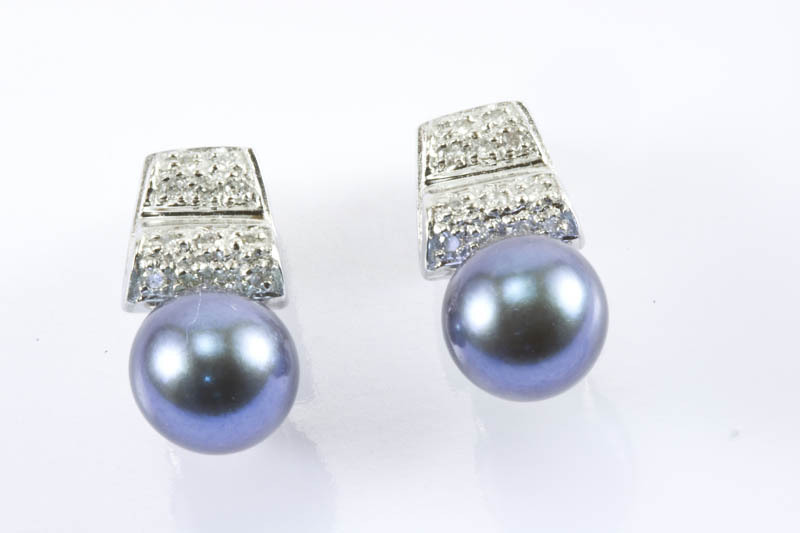 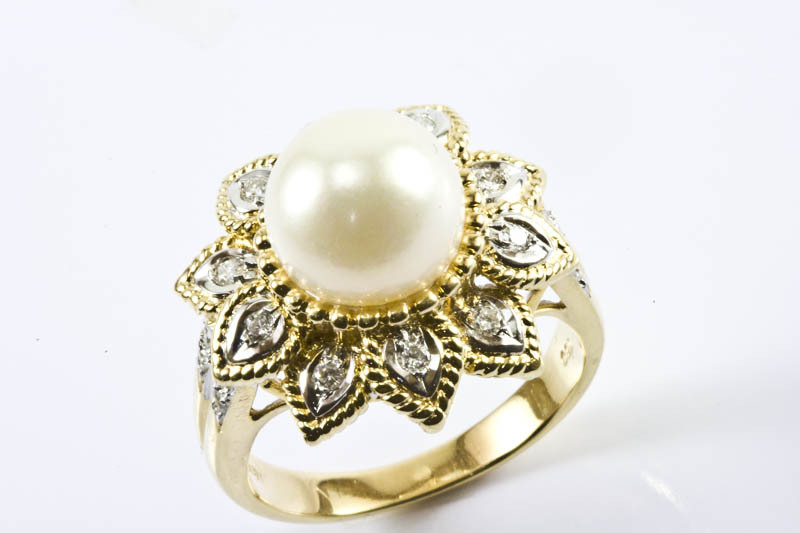 This is a stunning necklace, the gold pearls with white gold beads and tubes, makes this necklace a trendy looking. 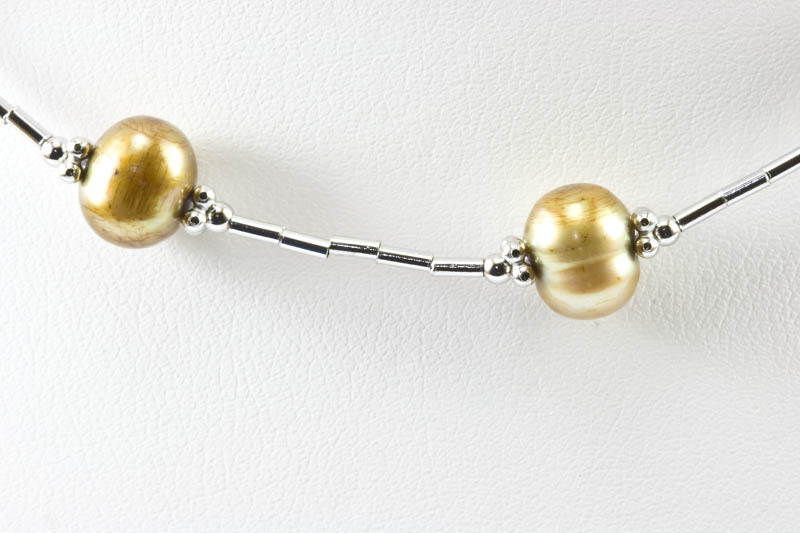 wear this necklace, you must catch every one's eyes.